Acute lymphoblastic leukemia (ALL) is the most common form of cancer in children, accounting for one-third of all childhood malignancies and nearly 80 percent of all pediatric leukemias. While current ALL therapies offer event-free survival rates approaching 75 percent, relapsed ALL is the fifth most common pediatric malignancy. For the almost 25 percent of children with relapsed ALL, standard therapy options are limited and their prognosis is poor. Recent studies suggest that treatments designed to optimize anti-leukemia immune responses may lead to the identification of new immunotherapies to treat ALL. 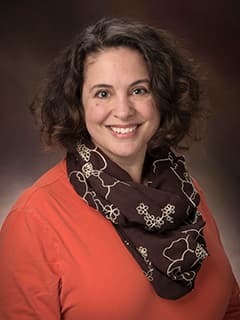 Alix E. Seif, MD, MPH, and researchers at the Center for Childhood Cancer Research are investigating the use of immunostimulatory synthetic DNA oligodeoxynucleotides that contain CpG motifs (CpG ODNs) to mimic the DNA of viral or bacterial infections to induce anti-leukemia immune responses in pediatric ALL. CpG ODNs are Toll-like receptor 9 (TLR9) agonists and have been found to generate strong innate immune anti-leukemia responses, control disease progression, and produce durable remission in mouse models of human ALL. Additional experiments revealed that CpG ODNs can also induce ongoing T cell-mediated immunoprotective responses and generate durable immune memory against ALL in these disease models. The ability of CpG ODN to induce both strong innate and adaptive anti-leukemia immune activity may render it an appropriate agent for therapeutic application in the treatment of relapsed pediatric ALL. Pediatric clinical trials are currently in development.